This is the second part of the review about the plant immune response. For the first part, please click here. Recently, the zig zag model for plant-pathogen interaction was criticised since it is based on the plant’s interaction with biotrophic microbes, i.e. pathogens that keep their host plans alive while feeding on them, and lacked integration of symbiotic interactions, or the response to necrotrophic pathogens. Hypersensitive response (HR), a form of programmed cell death, has been suggested as a major immune response of the plant in the zig zag model (1), and research suggests that it is effective against biotrophic microbes (2). In terms of an infection with necrotrophic pathogens, HR would, however, rather be a favourable result, since necrotrophic pathogens aim to kill plant cells in order to obtain nutrients. HR would therefore contribute to an invasion by necrotrophs and be counterproductive for the plant. Also, the environmental context such as the plant’s previous encounters with pathogens, presence of beneficial microbes, etc. have not been considered in the zig zag model. In this model, inducible plant immune response is defined as a mechanism in which perception of MAMPs and microbial effectors result in immunity (PTI/ETI) or susceptibility (ETS). Instead, it was suggested that the plant immune response should rather be defined as a mechanism that integrates various signals and results in different outcomes which cannot simply be categorised into ETI, PTS and PTI (3). An alternative model to describe inducible plant immune response has been proposed by Cook et al. (4) with the invasion model. In this model, compounds that elicit the plant immune response are not categorised into the strict categories of MAMPs or effectors but into invasion patterns (IPs). These IPs are not defined from the point of perception and response by the host plant, but from the point of their main function in the microorganism or plant. IPs are for example microbial-derived compounds such as the fungal chitin and bacterial flagellin, which would have been described as MAMPs in the zig zag model, but also host plant-derived modified-self compounds that indicate an invasion. Modified-self compounds are for example damage associated molecular patterns (DAMPs) such as components of the exterior of the cell that are released after wounding. Well described DAMPs are pectin fragments that are released from the cell wall after penetration by a fungus for instance. However, the main function of pectin is in plant cell wall structure and not as indicator of invasion. DAMPs play an important role in plant immune responses but have not been integrated in the zig zag model (3). Also, a classification of immune response eliciting compounds into MAMPs or effectors is objected to in the invasion model, since some of these compounds have been found to not fit into the categories of MAMPs and effectors (3). 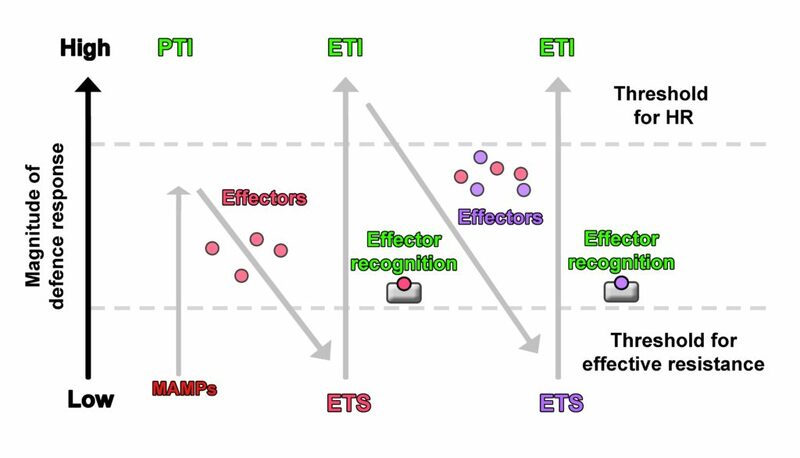 Contrary to the zig zag model, in the invasion model the host plant’s responses are not classified into PTI or ETI, but into IP triggered responses (IPTRs). The difference is that perception of IPs (by invasion pattern receptors (IPRs)) results in a) continued symbiosis between invader and host plant, or b) end of symbiosis of invader and host plant; instead of immunity (PTI/ETI) or susceptibility (ETS) as conceptualised in the zig zag model. These outcomes of continuation or discontinuation of symbiosis are determined by the overall effect of elicited host plant responses (that can be synergistic and/or antagonistic) (4). From the invader perspective, mechanisms that lead to a) the failure to supress IPTR, b) the suppression of IPTR (for example by biotrophic invaders), or c) the utilisation of IPTR (for example by necrotrophic invaders to drive cell death) determine if the symbiosis with the host plant is either continued or discontinued. Invaders may deploy IPs to influence the outcome of the symbiosis by manipulating IPTRs. When these IPs are used or the symbiosis is continued, further IPs could be released such as components that indicate a modification of host plant processes or DAMPs that in turn could be perceived by IPRs and lead to a discontinuation or continuation of the symbiosis, depending on the triggered plant responses (4). In the zig zag model, plant immune response and resistance are associated with HR, which, however, would rather result in a susceptibility to necrotrophic pathogens instead of resistance. In the invasion model, infection by necrotrophs leads to the release of DAMPs such as pectin fragments from the cell wall, resulting in triggering of appropriate defence responses. Additionally, pro-death mechanisms utilised by necrotrophic microorganisms such as specific toxins to hijack the plants immune response to drive HR for instance did not really fit in the zig zag model but are integrated in the invasion model. Symbiosis of host plants with beneficial microbes also depends on IPs (effectors) that suppress the plants defence response, similar to interactions with pathogens. 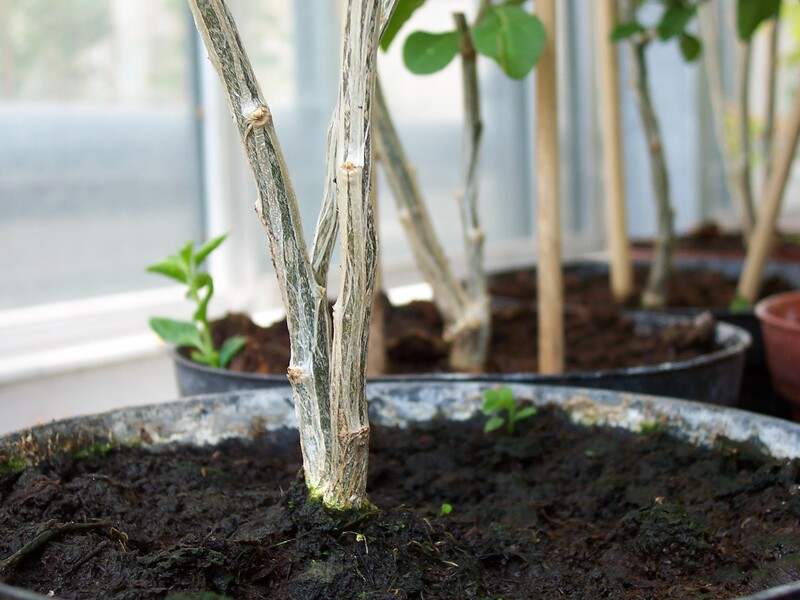 Arbuscular mycorrhiza fungi, which are fungi that colonise the roots of a wide range of land plants and that are essential for the host plants development, growth and stress tolerance (5), also deploy effector to attenuate the plants immune response. This, however, does not represent susceptibility of the host plant (ETS in the zig zag model) in a narrow sense and, therefore, does not really fit into the zig zag model. In the invasion model on the other hand, arbuscular mycorrhiza fungi deploy IPs that suppress IPTRs, which otherwise would lead to a discontinuation of symbiosis (4). Finally, it has to be pointed out that both the zig zag model and the invasion model are models after all that try to incorporate as many aspects of plant-microbe interaction and make sense of them. Nevertheless, models are generalisations and are therefore incomplete but form the basis for new scientific hypotheses and progress. 1. Jones, J.D. and Dangl, J.L. (2006) The plant immune system. Nature, 444, 323-9. 2. Coll, N.S., Epple, P., Dangl, J.L. (2011): Programmed cell death in the plant immune system. Cell Death and Differentiation, 18, 1247-56. 3. Pritchard, L. and Birch, P. R. J. (2014) The zigzag model of plant–microbe interactions: is it time to move on? Mol Plant Pathol. 15(9), 865-70. 4. Cook, D.E., Mesarich, C.H., Thomma, B.P. (2015) Understanding plant immunity as a surveillance system to detect invasion. Annu Rev Phytopathol. 53, 541-63. 5. Harrier, L.A (2001) The arbuscular mycorrhizal symbiosis: a molecular review of the fungal dimension. Journal of Experimental Botany, 52(1): 469-78. The application of cold plasma on seeds and fruits/vegetables suggest effective inactivation of bacteria and fungi and at the same time seemingly little effect on the seeds and fruits/vegetables. This combination suggests beneficial effects of cold plasma in plant disease control without detrimental effects on the plant. A single cold helium plasma treatment of Ralstonia solanacearum (that can cause wilt on several crops (Peeters et al., 2013)) infected tomato plants delayed wilting and also slowed the disease progress by 25 %, 20 days after gas plasma treatment (Jiang et al., 2014). Similarly, cold argon plasma treated tomato plants that were infected with F. oxysporum resulted in an inactivation of F. oxysporum spores. Molecular biological investigations found that gas plasma treatment alone led to the expression of genes that are associated with plant defence responses in tomato. It was, however, not determined how these PR genes were affected in F. oxysporon infected tomato plants that were treated with cold plasma. Surprisingly, this observed expression of these genes was found in the roots and not the leaves that were actually treated with gas plasma. It is rather expected that defence response is activated at the site of treatment or in the whole plant. This result illustrates that the effects of cold plasma and the triggered mechanisms in plants are still unknown. Nevertheless, it was hypothesised that reactive components of cold plasma such as reactive oxygen species and reactive nitrogen species could have entered the cell and acted as signalling molecules (Panngom et al., 2014). Reactive oxygen and nitrogen species are important intracellular signalling compounds of the plant defence response (Coll et al., 2011; Glazebrook 2005; Shapiguzov et al., 2012). (For the biology nerds: Jiang et al. (2014) found increased PHENYLALANINE AMMONIA-LYASE 1 (PAL1) expression in R. solanacearum infected tomato plants upon cold gas plasma treatment. PAL1 is involved in salicylic acid (SA) biosynthesis, an important signalling component of the plant defence response (Coll et al., 2011; Wildermuth et al., 2001; Fu et al., 2013). 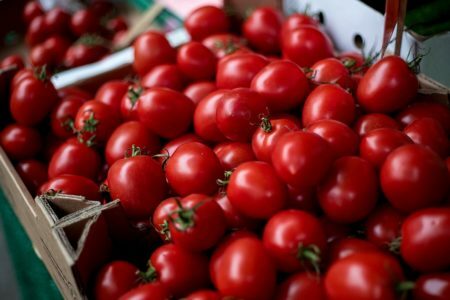 Enzyme activity assays for resistance-related plant peroxidase (POD) and polyphenol oxidase (PPO) in R. solanacearum infected tomato plants showed increased activity of both enzymes. PODs generate H2O2 upon pathogen perception, and are involved in defence response signalling and cell wall lignification (Kawano, 2003). PPOs are involved in herbivore and pathogen defence (Constabel and Barbehenn, 2008)). These results suggest that cold gas plasma could mediate plant disease control via reactive components and the induction of plant defence mechanisms. It is generally assumed that reactive oxygen species such as hydrogen peroxide (H2O2) and hydroxyl radicals (OH–), reactive nitrogen species such as peroxynitrite (ONOO–) and nitrite (NO2–), and UV-light as cold plasma components contribute to microbial spore and cell inactivation. The impact of these different components, however, seems to vary between the different forms of cold plasma (Jiang et al., 2014; Laroussi and Leipold, 2004; Laroussi, 2009; Oehmigen et al., 2010; Panngom et al., 2014). Ziuzina et al. (2014) challenged the assumption that reactive oxygen and nitrogen species cause the inactivation of microorganisms. Due to the distance of approximately 16 cm between the tomato plants and the centre of the cold plasma production in their experiment, it was argued that reactive oxygen and nitrogen species would most likely react before reaching the samples (Laroussi, 2009). The group found increasing ozone concentration with increasing treatment duration and hypothesised that ozone could act as microbe inactivating agent of cold gas plasma. The effectiveness of cold plasma mediated inactivation of microorganisms seems to depend on one hand on the specific characteristics of the microorganisms. S. enterica and E. coli that are Gram-negative bacteria with thinner outer membrane were inactivated much faster than L. monocytogenes a Gram-positive bacterium with a thicker outer membrane. It was suggested that the thinner outer membrane allowed for a diffusion of reactive components into the bacteria, subsequently killing it, whereas the thicker membrane could present a barrier that leads to reduced inactivation by cold gas plasma (Ziuzina et al., 2014). In addition to the microbial characteristics, the plant and plant tissue characteristic seem to influence the inactivation effectiveness of cold gas plasma as well. The irregular surface of strawberries and cantaloupe rind has been hypothesised to provided sites for microbial attachment that shield bacteria from cold gas plasma and contribute to biofilm-formation, subsequently protecting microbes and reducing the inactivation of E. coli, S. enterica and L. monocytogenes, compared to the smooth surface of tomatoes (Ziuzina et al., 2014; Jiang et al., 2017). This hypothesised protection of microbes due to surface differences could also apply to seeds (Kang et al., 2015; Khamsen et al., 2016). Andino, A., and Hanning, I. (2015) Salmonella enterica: Survival, Colonization, and Virulence Differences among Serovars. The Scientific World Journal, 2015, 520179. Bormashenko, E., Grynyov, R., Bormashenko, Y., & Drori, E. (2012) Cold Radiofrequency Plasma Treatment Modifies Wettability and Germination Speed of Plant Seeds. Scientific Reports. 2, 741. Carter, L.L., Leslie, J.F., Webster, R.K. (2008) Population structure of Fusarium fujikuroi from California rice and water grass. Phytopathology. 98(9), 992-8. Coll, N.S., Epple, P., Dangl, J.L. (2011): Programmed cell death in the plant immune system. Cell Death and Differentiation, 18, 1247-56. Constabel, C.P., and Barbehenn, R. (2008) Defensive Roles of Polyphenol Oxidase in Plants in Induced Plant Resistance to Herbivory (ed. Schaller, A. ), 253-69. Springer Science+Business Media B.V.
Danhorn, T. and Fuqua, C. (2007) Biofilm Formation by Plant-Associated Bacteria. Annu. Rev. Microbiol. 61, 401-22. Denancé, N., Sánchez-Vallet, A., Goffner, D., Molina, A. (2013) Disease resistance or growth: the role of plant hormones in balancing immune responses and fitness costs. Front Plant Sci., 4, 155. Di Pietro, A.D., Madrid, M.P., Caracuel, Z., Delgado-Jarana, J., Roncero, M.I.G. (2003) Fusarium oxysporum: exploring the molecular arsenal of a vascular wilt fungus. Mol Plant Pathol 4, 315-25. El-Sayed, W. S., Ouf, S. A., & Mohamed, A.-A. H. (2015) Deterioration to extinction of wastewater bacteria by non-thermal atmospheric pressure air plasma as assessed by 16S rDNA-DGGE fingerprinting. Frontiers in Microbiology, 6, 1098. Engwall, E., Eriksson, A.I., Cully,C.M., André, M., Torbert, R., Vaith, H. (2009) Earth’s ionospheric outflow dominated by hidden cold plasma. Nature Geoscience. 2, 24-7. Fravel, D., Olivain, C. and Alabouvette, C. (2003) Fusarium oxysporum and Its Biocontrol. New Phytologist, 157, 493-502. Fu, Z.Q. and Dong X. (2013) Systemic Acquired Resistance: Turning Local Infection into Global Defence. Annu Rev Plant Biol., 64, 839-63. Glazebrook, J. (2005) Contrasting mechanisms of defense against biotrophic and necrotrophic pathogens. Annu Rev Phytopathol., 43, 205-27. Heidel, A.J., Clarke, J.D., Antonovics, J., Dong, X.N. (2004) Fitness costs of mutations affecting the systemic acquired resistance pathway in Arabidopsis thaliana. Genetics, 168, 2197-206. Heil, M., Hilpert, A., Kaiser, W., and Linsenmair, K.E. (2000). Reduced growth and seed set following chemical induction of pathogen defence: does systemic acquired resistance (SAR) incur allocation costs? J Ecol., 88, 645-54. Heinlin, J., Morfill, G., Landthaler, M., Stolz, W., Isbary, G,. et al. (2010) Plasma medicine: possible applications in dermatology. J Dtsch Dermatol Ges. 8, 968-76. Huot, B., Yao, J., Montgomery, B.L., He, S.Y. (2014) Growth–Defense Tradeoffs in Plants: A Balancing Act to Optimize Fitness. Molecular Plant, 7, 1267-87. Jiang, J., Lu, YX., Li, J., Li, L., He, X., Shao, H., Dong, Y. (2014) Effect of Seed Treatment by Cold Plasma on the Resistance of Tomato to Ralstonia solanacearum (Bacterial Wilt). PLoS ONE 9(5), e97753. Jiang, Y., Sokorai, K., Pyrgiotakis, G., Demokritou, P., Li, X., Mukhopadhyay, S., Jin, T., Fan, X. (2017) Cold plasma-activated hydrogen peroxide aerosol inactivates Escherichia coli O157:H7, Salmonella Typhimurium, and Listeria innocua and maintains quality of grape tomato, spinach and cantaloupe. Int J Food Microbiol. 249, 53-60. Kang, M. H., Pengkit, A., Choi, K., Jeon, S. S., Choi, H. W., Shin, D. B., Choi, E.H., Uhm, H.S., Park, G. (2015) Differential Inactivation of Fungal Spores in Water and on Seeds by Ozone and Arc Discharge Plasma. PLoS ONE, 10(9), e0139263. Kawano, T (2003) Roles of the reactive oxygen species-generating peroxidase reactions in plant defense and growth induction. Plant Cell Rep. 21(9), 829-37. Khamsen, N., Onwimol, D., Teerakawanich, N., Dechanupaprittha, S., Kanokbannakorn, W., Hongesombut, K., Srisonphan, S. (2016) Rice (Oryza sativa L.) Seed Sterilization and Germination Enhancement via Atmospheric Hybrid Nonthermal Discharge Plasma. ACS Appl Mater Interfaces. 8(30), 19268-75. Kim, J.H. and Min, S.C. (2017) Microwave-powered cold plasma treatment for improving microbiological safety of cherry tomato against Salmonella. Postharvest Biology and Technology. 127, 21-6. Laroussi, M. (2009) Low-temperature plasmas for medicine? 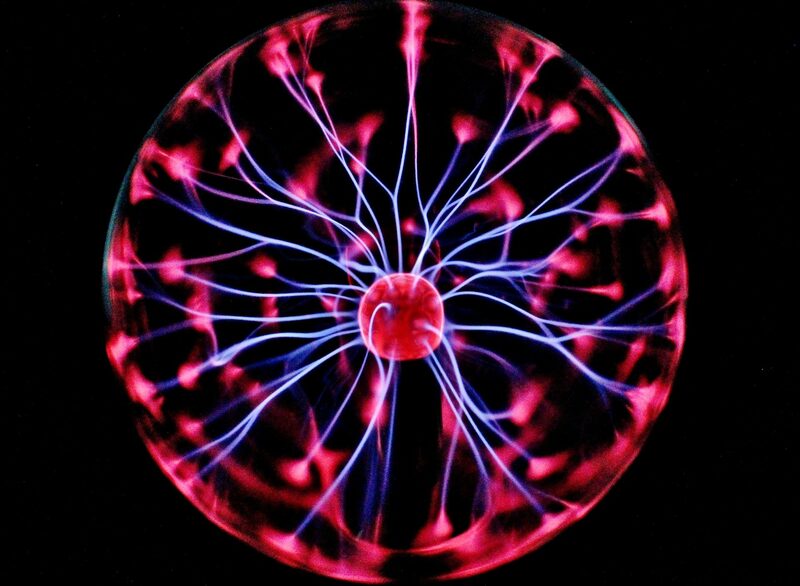 Plasma Science. IEEE Trans. 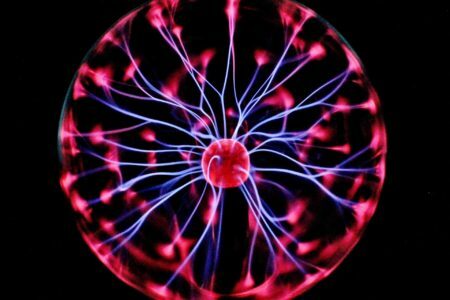 Plasma Sci. 37, 714-25. Laroussi, M. and Leipold, F. (2004) Evaluation of the roles of reactive species, heat, and UV radiation in the inactivation of bacterial cells by air plasmas at atmospheric pressure. Int. J. Mass Spectrom. 233, 81-6. Lim, J.Y., Yoon, J.W., Hovde, C.J. (2010) A Brief Overview of Escherichia coli O157:H7 and Its Plasmid O157. Journal of Microbiology and Biotechnology, 20(1), 5-14. Niemira, B.A. and Sites, J. (2008) Cold plasma inactivates Salmonella Stanley and Escherichia coli O157:H7 inoculated on golden delicious apples. J Food Prot. 71(7), 1357-65. Oehmigen, K., Hähnel, M., Brandenburg, R., Wilke, C., Weltmann, K.-D., von Woedtke, T. (2010) The Role of Acidification for Antimicrobial Activity of Atmospheric Pressure Plasma in Liquids. Plasma Processes and Polymers. 7( 3-4), 250-7. Olaimat, A.N., Holley, R.A. (2012) Factors influencing the microbial safety of fresh produce: a review. Food Microbiol. 32, 1e19. Ölmez, H., Kretzschmar, U. (2009) Potential alternative disinfection methods for organic fresh-cut industry for minimizing water consumption and environmental impact. LWT Food Sci. Technol. 42, 686-93. Panngom, K., Lee, S. H., Park, D. H., Sim, G. B., Kim, Y. H., Uhm, H. S., et al. (2014) Non-Thermal Plasma Treatment Diminishes Fungal Viability and Up-Regulates Resistance Genes in a Plant Host. PLoS ONE, 9(6), e99300. Peeters, N., Guidot, A., Vailleau, F., Valls, M. (2013) Ralstonia solanacearum, a widespread bacterial plant pathogen in the post-genomic era. Mol Plant Pathol. 14(7), 651-62. Perrin, M., Bemer, M., & Delamare, C. (2003) Fatal Case of Listeria innocua Bacteremia. Journal of Clinical Microbiology, 41(11), 5308-9. Ramaswamy, V., Cresence, V.M., Rejitha, J.S., Lekshmi, M.U., Dharsana, K.S., Prasad, S.P., Vijila, H.M. (2007) Listeria – review of epidemiology and pathogenesis. J. Microbiol. Immunol. Infect. 40(1), 4-13. Rangel, J.M., Sparling, P.H., Crowe, C., Griffin, P.M., Swerdlow, D.L. (2005) Epidemiology of Escherichia coli O157:H7 outbreaks, United States, 1982e2002. Emerg. Infect. Dis. 11, 603e609. Raybaudi-Massilia, R.M., Mosqueda-Melgar, J., Soliva-Fortuny, R., Martin-Belloso, O. (2009) Control of pathogenic and spoilage microorganisms in fresh-cut fruits and fruit juices by traditional and alternative natural antimicrobials. Compr. Rev. Food Sci. Food Saf. 8, 157e180. Sera, B., Spatenka, P., Sery, M., Vrchotova, N., Hruskova, I. (2010) Influence of Plasma Treatment on Wheat and Oat Germination and Early Growth. IEEE Transactions on Plasma Science. 38(10), 2963-8. Shapiguzov, A., Vainonen, J.P., Wrzaczek, M., Kangasjärvi, J. (2012) ROS-talk – how the apoplast, the chloroplast, and the nucleus get the message through. Front Plant Sci., 3, 292. Sharma, K.K., Singh, U.S., Sharma, P., Kumar, A., Sharma, L. (2015) Seed treatments for sustainable agriculture-A review. Journal of Applied and Natural Science. 7(1), 521-39. Sivachandiran, L. and Khacef, A. (2017) Enhanced seed germination and plant growth by atmospheric pressure cold air plasma: combined effect of seed and water treatment. RSC. 7, 1822-32. Stephen, J., Amin, I., Douce, G.R. (1993) Experimental Salmonella typhimurium-induced gastroenteritis. In Biology of Salmonella (eds. Cabello, F., Hormaeche, C., Mastreoni, P., Bonina, L.,), 199-209. Plenum Press, N.Y.
Takai, O. (2008) Solution plasma processing (SPP). Pure Appl. Chem., 80(9), 2003-11. Tilman, D., Balzer, C., Hill, J., & Befort, B. L. (2011) Global food demand and the sustainable intensification of agriculture. Proceedings of the National Academy of Sciences of the United States of America, 108(50), 20260-4. Tong, S.Y., Davis, J.S., Eichenberger, E., Holland, T.L., Fowler, V.G. (2015) Staphylococcus aureus infections: epidemiology, pathophysiology, clinical manifestations, and management. Clinical Microbiology Reviews. 28 (3), 603-61. Toval, F., Schiller, R., Meisen, I., Putze, J., Kouzel, I. U., Zhang, W., et al. (2014) Characterization of Urinary Tract Infection-Associated Shiga Toxin-Producing Escherichia coli. Infection and Immunity, 82(11), 4631-42. Tsedaley, B. (2015) Review on Seed Health Tests and Detection Methods of Seedborne Diseases. Journal of Biology, Agriculture and Healthcare. 5(5), 176-84. United Nations, Department of Economic and Social Affairs, Population Division (2015) World Population Prospects: The 2015 Revision, Key Findings and Advance Tables. Working Paper No. ESA/P/WP.241. Volin J.C., Denes, F.S., Young, R.A., and Park, S.M.T. (2000) Modification of seed germination performance through cold plasma chemistry technology. Crop. Sci 40, 1706-18. Wang, H., Zhou, B., Feng, H. (2012) Surface characteristics of fresh produce and their impact on attachment and removal of human pathogens. Produce contamination. In Decontamination of Fresh and Minimally Processed Produce (ed. by Gomez-Lopez, V.M. ), 43-55. Wiley-Blackwell Publishing, USA. Ziuzina, D., Patil, S. Cullen, P.J., Keener, K.M., Bourke, P. (2014) Atmospheric cold plasma inactivation of Escherichia coli, Salmonella enterica serovar Typhimurium and Listeria monocytogenes inoculated on fresh produce. Food Microbiology 42, 109e116. In the year 2050 the world’s population is estimated to have reached 9.7 billion, and worldwide crop production would have to increase two-fold in order to cover the demand by this time (United Nations, 2015; Tilman et al., 2011). An effective way to increase crop yield is minimising the losses to pathogenic microorganisms and insects by improving disease resistance of crop plants. 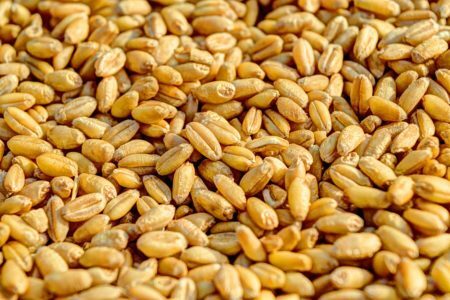 Generally, this is done by selective breeding and application of disease treatments (fungicides, bactericides, insecticides). These approaches, however, could be accompanied by detrimental side effects. For instance, a constitutively activated plant defence responses could lead to an allocation of plant resources to defence response mechanisms instead of developmental processes and, in the worst case, cause decreased plant growth and yield (Heil et al., 2000; Heidel et al., 2004; Denancé et al., 2013; Huot et al., 2014). Plant pathogens could also become resistant to disease treatments which overall are deemed cost ineffective. Disease treatments additionally pose risks to the environment and consumers in long-term, especially due to the combination of different disease treatment residues in food products (Jørgensen et al., 2017). A recently emerging alternative to conventional methods of improving plant disease resistance is cold plasma in the form of cold gas and cold solution plasma. 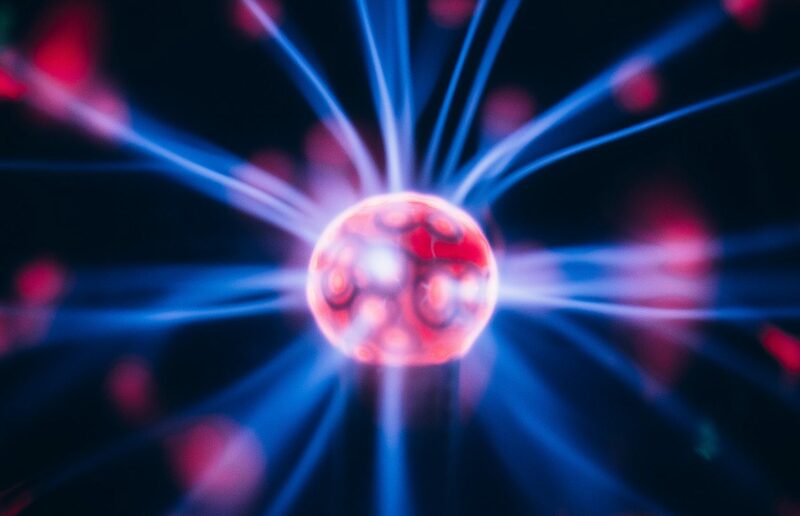 Plasma describes matter which partly consists of charged components, ions and electrons, and is considered the fourth state of matter (besides, solid, fluid and gas) (Bourke et al., 2017). Cold gas plasma is produced by subjecting atmospheric gases, such as air as gas mixture, to high energy via discharges (Bormashenko, et al., 2012, Jiang et al., 2014; Ziuzina et al., 2014) or microwaves (Kim and Min, 2017) at atmospheric pressure. This ionises the gas and generates reactive components like reactive oxygen species (ROS – they react very easily with molecules, which makes them potentially dangerous for living cells) and reactive nitrogen species (RNS – also very reactive), as well as UV-light, ions and electrons (Laroussi and Leipold, 2004; Laroussi, 2009; Heinlin et al., 2010; Oehmigen et al., 2010; Jiang et al., 2014; Panngom et al., 2014), but also nitrous oxide (N2O) and carbon dioxide (CO2), depending on the utilised gases (Ziuzina et al., 2014; Sivachandiran and Khacef, 2017). Since the temperature of gas plasma stays around room temperature during its generation, it is called cold gas plasma (Goossens, 2003). In nature, gas plasma is found in large quantities in earth’s ionosphere (Engwall et al., 2009). Cold solution plasma or liquid-phase plasma is generated by exposing solutions (hexane and cyclohexane solutions for example) to high energy via microwaves, and by channelling air-based cold plasma through the solution, at atmospheric pressure. Plasma activated water (PAW) has also been generated by discharge (Takai, 2008; Bruggeman and Leys, 2009; Sivachandiran and Khacef, 2017). The temperature of solution plasma also remains at room temperature (Takai, 2008). In nature, PAW is generated during lightning that plasma-activates rain, and when lightning strikes water (Leenders, 2015). Significantly, investigations that were conducted thus far suggest that cold plasma mediates plant disease control, and improves seed germination and plant growth. Cold plasma has also been used for seed sterilisation in recent years (Volin et al., 2000; Takai, 2008; Sera et al., 2010; Leenders, 2015; Jiang et al., 2014; Ziuzina et al., 2014; Sivachandiran and Khacef, 2017). The characteristic of cold plasma to generate reactive species, UV-light, ions and electrons infers the potential to inactivate microorganisms. For this purpose, application of cold plasma has been tested for microbial decontamination of solutions and disease control on plants. Takai (2008) showed that cold sodium acetate (CH3COONa)- and sodium sulphate (Na2SO4)-based solution plasma killed E. coli (some strains can cause urinary tract infection in humans (Toval et al., 2014)) and Staphylococcus aureus (that can cause bacteremia in humans (Tong et al., 2015)) in highly concentrated suspensions after 30 seconds of treatment. Likewise, E. coli and S. aureus cell suspensions in water were inactivated within 5 and 15 minutes of continuous application of a nitric oxide (NO)-based plasma (Oehmigen et al., 2010). Plasma activated water, however, inactivated only some spores of the fungus Fusarium fujikuroi (a fungal pathogen of rice that causes Bakanae disease (Carter et al., 2008)) after exposure of 10 minutes (Kang et al., 2015). Cold argon plasma, on the other hand, effectively killed Fusarium oxysporum spores (that can cause wilt on several crop plants (Fravel, 2003; Di Pietro et al., 2003)) after 10 minutes of exposure (Panngom et al., 2014). These results suggest that cold plasma, especially gas plasma, could be utilised to effectively decontaminate solutions such as wastewater (El-Sayed et al., 2015), but also that certain cold plasmas could be more suited for the inactivation of specific microbes in solution/water. Seeds can harbour plant pathogenic microbes that are partially situated in the seed coat or in biofilms on the seed surface (Tsedaley, 2015; Danhorn and Fuqua, 2007) and can cause disease on seedlings after gaining sufficient quorum (minimum number to cause disease). Seed-borne pathogens are difficult to inactivate due to their location and, therefore, protection from outside influences. Seeds are commonly treated with different inactivating agents such as insecticides and fungicides, but also with heat and radiation (Wang et al., 2012; Sharma et al., 2015). Investigations on the effects of cold plasma on crop seeds indicate a plasma mediated inactivation of microbes. Cold argon and air plasma treatments of rice seeds inactivated seed-borne pathogens and resulted in minor fungal infection of the emerging seedlings 14 days after germination. This was contrary to untreated seeds, where the emerging seedlings became heavily infected (Khamsen et al., 2016). Plasma activated water was found to kill the spores on 80 % of F. fujikuroi infected rice seed. A scanning electron microscope analysis showed that almost all F. fujikuroi spores were detached from these seeds, contrary to control seeds, where fungal spores were still attached. This suggests that plasma additionally mediates mechanical detachment of spores from seeds (Kang et al., 2015). Overall, cold plasmas were found to affect seed-borne pathogenic fungi and partly inactivate them. It could be speculated that due to the internal localisation of some microbes (and formation of biofilms), they were protected from cold plasma and survived the treatment, subsequently infecting the emerging seedling. Vegetables and fruits can be a potential carrier of human pathogens. 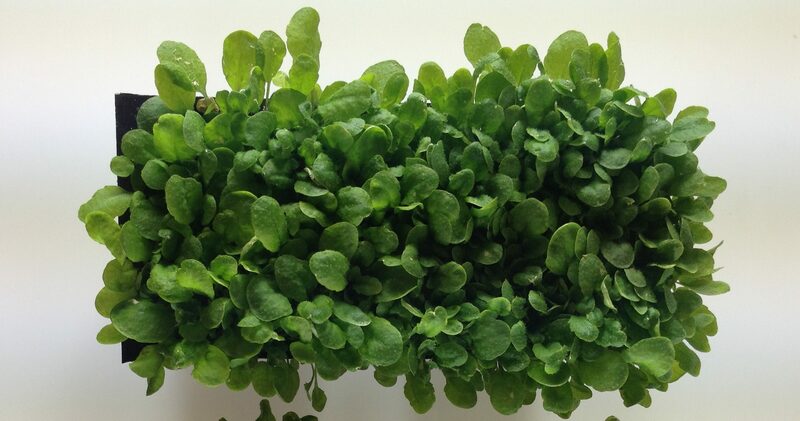 Food-borne pathogens have been found on lettuce, basil, sprouted seed, melon, tomatoes and radish (Rangel et al., 2005; Raybaudi-Massilia et al., 2009; Lim et al., 2010; Olaimat and Holley, 2012). Cold plasma could be an alternative to commonly used agents such as organic acids and radiation to decontaminate fruits and vegetables. E. coli, Salmonella enterica (that can cause salmonellosis in humans (Andino and Hanning, 2015)) and Listeria monocytogenes (that can cause listeriosis in humans (Ramaswamy et al., 2007)) were effectively inactivated by cold air plasma on cherry tomatoes and apples (Ziuzina et al., 2014; Niemira and Sites, 2008). On strawberries that have a more uneven surface, however, cold air plasma treatment was less effective on these bacteria, but still reduced their concentrations (Ziuzina et al., 2014). Similarly, a different effectiveness of cold hydrogen peroxide (H2O2) solution plasma in inactivation of the E. coli strain O157:H7 (that can cause hemolytic uremic syndrome in humans (Lim et al., 2010; Rangel, et al., 2005)), Salmonella thyphimurium (that can cause gastroenteritis (Stephen et al., 1993)) and Listeria innocua (that can cause bacteremia in humans (Perrin et al., 2003)) was found on tomatoes, baby spinach leaves, tomato stem scars and cantaloupe rinds. H2O2 itself, without plasma activation, is utilised as antimicrobial agent but its effectiveness is considered as low (Ölmez and Kretzschmar, 2009). On tomatoes and spinach leaves, S. thyphimurium and L. innocua were inactivated much more effectively than on tomato stem scars and cantaloupe rinds. E. coli O157:H7 was only effectively inactivated by cold plasma on tomatoes (Jiang et al., 2017). 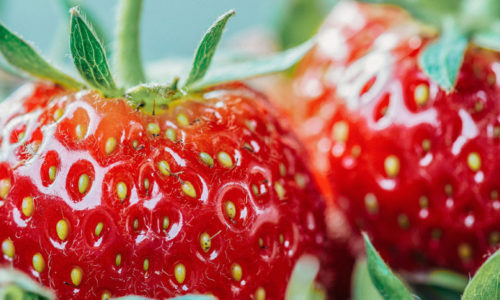 These results suggest that rather uneven surfaces like the ones of strawberries could contribute to the survival of some bacteria (Ziuzina et al., 2014). Overall, cold gas plasma shows potential in decontamination of food-borne microbes. The circadian rhythm was first mentioned by Franz Halberg in the 1950s. The term is based on the words circa, meaning “around” and diem or dies, meaning “day”. It refers to the 24 hour rhythm of living beings, mainly animals and plants. Its outstanding characteristic is that it retains a 24 h rhythm without any cues from the environment that indicate the daytime. This means the circadian rhythm is generated within the organism (generated endogenously). Generally speaking, if a person for instance is in a completely dark room for an extended period of time, he or she would still have a daily rhythm of 8 hours sleep and 16 hours waking state. What is it good for to keep track of time you might ask. With the help of the circadian rhythm animals and plants can anticipate reoccurring events and adjust to them. As an example, plants anticipate dawn and activate their photosynthesis apparatus, so light gets used efficiently as soon as possible. But the time of dawn changes with the season of the year and the rhythm has to be adjusted. 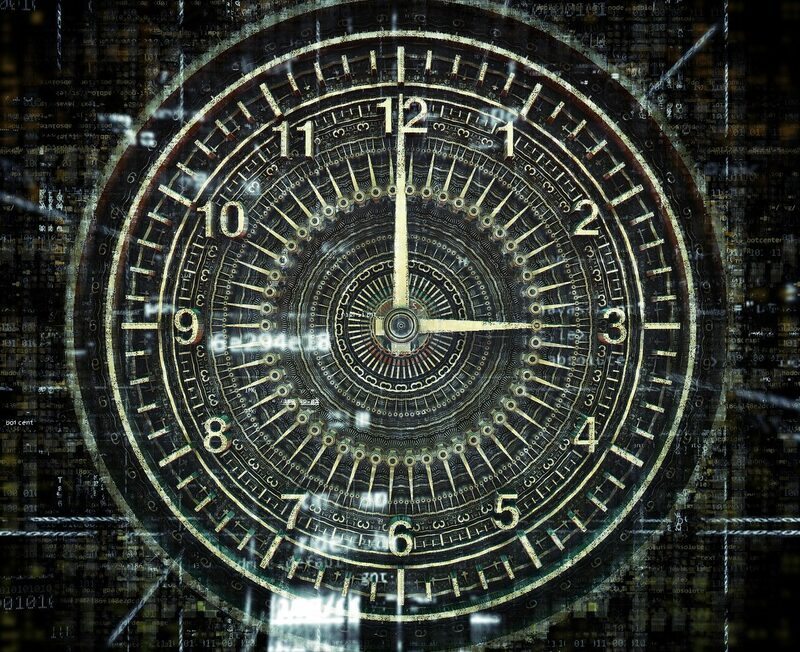 Here environmental cues called “Zeitgeber” (time giver) come into play. These are signals such as the change of light intensity or temperature and with them the circadian clock adjusts to the correct time. As suspected the circadian rhythm plays a much more important role for plants than it does for animals, as they are sessile organisms and cannot escape stress. They just have to deal with it. And again, anticipating stress and preparing for it can make a big difference when it comes to survival. On a molecular level, the plant circadian rhythm’s center is the central oscillator that consists of a few genes that interact in a feedback loop with each other. A hypothesis has been established that depicts its regulation in a circuit called repressilator. This is a network where genes are expressed, (meaning a protein is synthesised with a gene as blueprint) during a certain time of the day and suppress (expression is prevented) the temporally preceding genes in the loop. Its important to understand that gene products, proteins, convey the actual function and that genes are just the blueprint for them. For a better understanding of the central oscillator regulation, let’s forget about time for a moment. In the figure below you can see three gene clusters that are connected (clear) and the same gene clusters shifted (faint). We will concentrate on the clear part first. Here, the genes CCA1 and LHY suppress the genes ELF3, ELF4 and LUX, indicated by the blunt arrow. As these three genes are prevented from being expressed (and therefore their acting proteins not being present), they on their part cannot suppress the genes TOC1 and PRR5/7/9. As a result these four genes get expressed and their proteins suppress CCA1 and LHY. This again leads to expression of ELF3/4 and LUX, due to cessation of suppression by CCA1 and LHY. So in fact, the whole cycle is based on suspension of suppression. Sounds complicated, but is is not. This mechanism could be compared to a circulation of three buttons, whereof one is pressed in (suppressed) and two are out (expressed). Pushing button 1, after a while, leads to pushing in of the following button 2, and hence coming out of button 1. Now the circle continues as button 3 is pushed in after a while and button 2 comes out. The circle closes when button 1 is pushed again and button 3 comes out. Lets bring in time at this point. Therefore you have to look at the faint parts of the figure that show you the time of day when the respective genes are expressed. In the morning, CCA1 and LHY are expressed for a few hours and as they suppress ELF3/4 and LUX, these three genes are thereby suppressed in the morning. This results in suspension of suppression of TOC1, PRR5/7/9 and these four genes are expressed during the day toward the evening/night. Their expression again leads to suppression of CCA1 and LHY during the day, which therefore results to a gradual suspension of ELF3/4– and LUX-suppression. The three genes are subsequently expressed at night, during which they suppress TOC1 and PRR5/7/9. The circle closes by suspension of CCA1 and LHY suppression towards dawn, when they are expressed again. 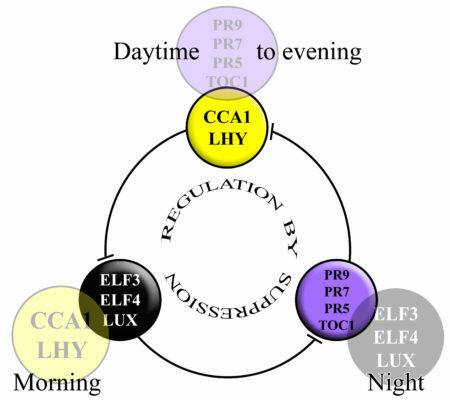 Scheme for the repressilator consisting of genes expressed at dawn (CCA1 and LHY), during the day (PRR9, PRR7, PRR5 and TOC1) and at night (ELF3, ELF4 and LUX). Lines represent repression of one gene cluster by the preceding gene cluster. In this way the nine genes of the central oscillator regulate themselves and generate the circadian rhythm endogenously. What do these genes of the central oscillator do but just regulate each other? During the time of their expression they are involved in the regulation of a lot of processes in the plant. In fact, the circadian rhythm partially regulates the already mentioned photosynthesis, as well as flowering and fruit production, and even the plant immune system. It was estimated that up to one-third of all genes of plants are partially controlled by the circadian rhythm, showing the importance of this mechanism! Huang, P. Pérez-García, A. Pokhilko, A. J. Millar, I. Antoshechkin, J. L. Riechmann, P. Mas (2012): Mapping the Core of the Arabidopsis Circadian Clock Defines the Network Structure of the Oscillator. Science.336:75-79G.